In this paper we examine the role that political scandals play in eroding regard for government and political institutions in general. We know that scandals can lower regard for individual politicians and government leaders. Yet, less is known about how scandal influences attitudes toward institutions and the political process. It has been widely assumed that such attitudes are influenced by factors that lie largely beyond the control of individual politicians. 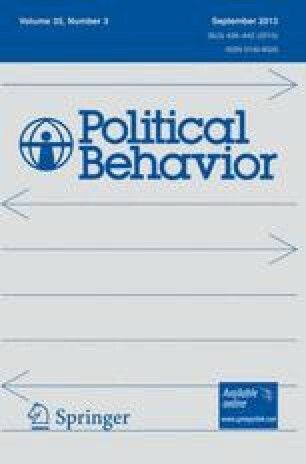 Using data from the U.S. and the U.K. we show that scandals involving legislators can have a negative influence on their constituent's attitudes toward institutions and the political process. One consequence of this finding is that, instead of looking for scapegoats in Hollywood or among the failings of voters themselves, politicians should first get their own House in order.